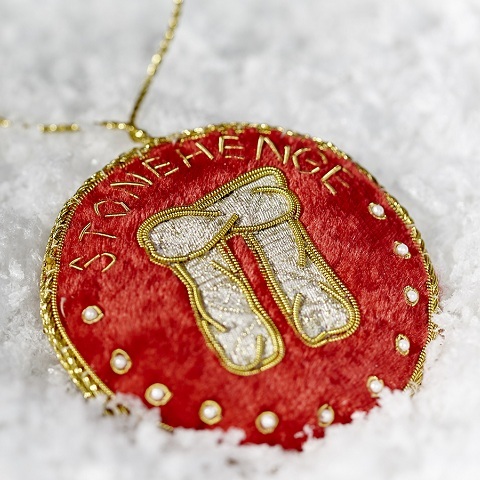 Enjoy a warm welcome at the Stonehenge visitor centre on the evenings of 7th and 14th December 5pm-8pm, and a feast of festive songs and music from the celebrated Salisbury Plain Military Wives Choir and the brilliant Durrington Walls Wind Band as well as free Christmas craft and wreath–making workshops. Warm up in the café with delicious mince pies, mulled wine and deluxe hot chocolate and enjoy 10% off all Christmas shopping in the Stonehenge shop and 20% off the Gift of Membership. Step back in time and explore the objects found around Stonehenge, with free entry to the award-winning exhibitions. Experience Stonehenge through the ages and the seasons from the middle of our incredible 360-degree virtual 'stand in the stones' exhibit. This three-minute film, based on state-of-the-art laser scan images of the stone circle, transports the viewer back in time through the millennia and enables them to experience the winter solstice - from the warmth of the visitor centre! Grab the opportunity to see the first ever Stonehenge guidebook in our special exhibition 'Wish You Were Here' curated for English Heritage by renowned archaeologist Julian Richards. This exhibition takes a look at the history of Stonehenge as a tourist attraction from Roman to modern times – with an array of obscure, fascinating objects and souvenirs from past centuries on display.